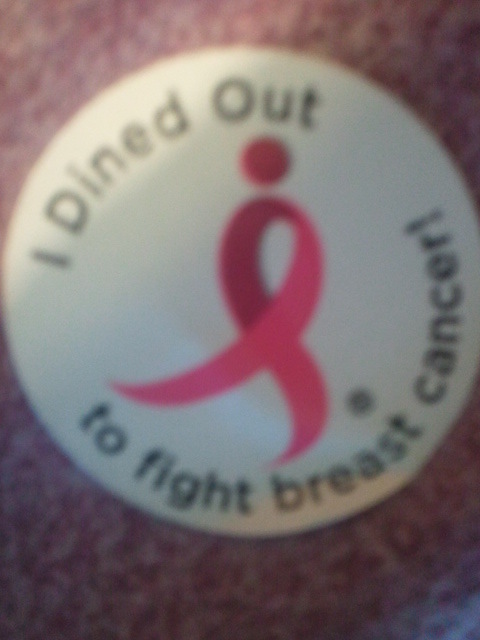 Today was the 5th Annual Dine Out for the Cure in St. Louis sponsored by Susan G. Komen St. Louis. Being a one-year survivor of breast cancer and a lover of food, this was a no brainer for me. The difficult part of the day was deciding just where to eat. Alas, the belly chose Pickles in the Central West End not only for its delectable sandwich options, but because it donated 50% of its proceeds to the fight against breast cancer. As we approached the deli, a line was formed outside the door. Yes! Thank you to ALL who joined forces in the fight today. 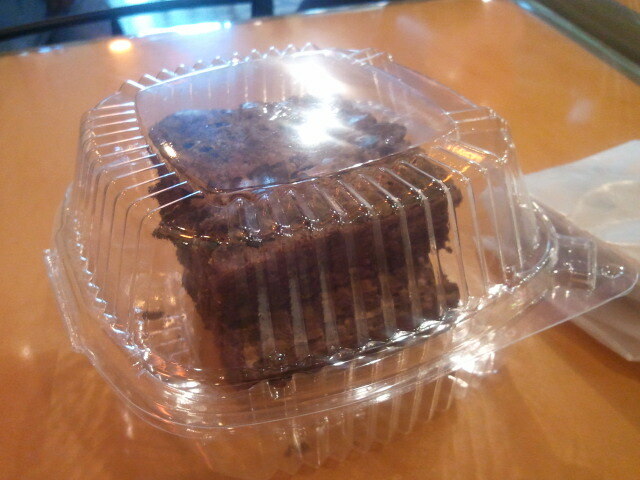 The menu was posted on chalkboards behind the counter, so the squirts and I salivated in anticipation of our ordering. The wait was well worth it with sandwiches piled high with various meats and cheeses. 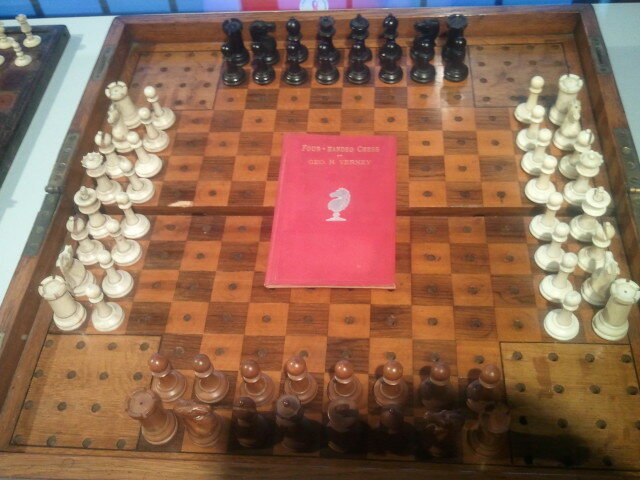 After taking our last bites of mile-high, moist brownies, we headed to the World Chess Hall of Fame right around the corner. 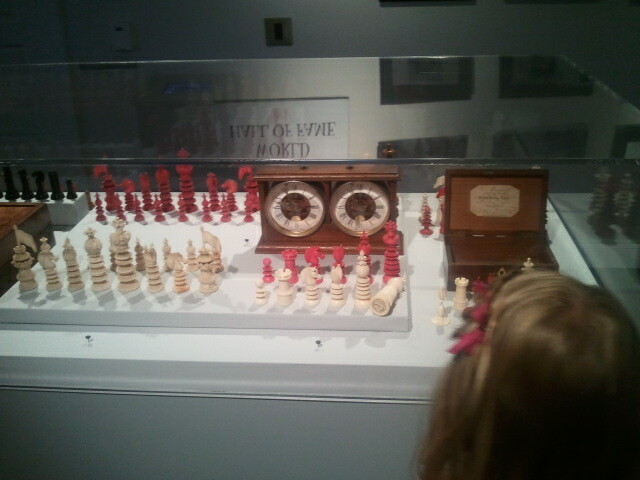 Since my squirts and I are chess addicts, we looked forward to this outing. 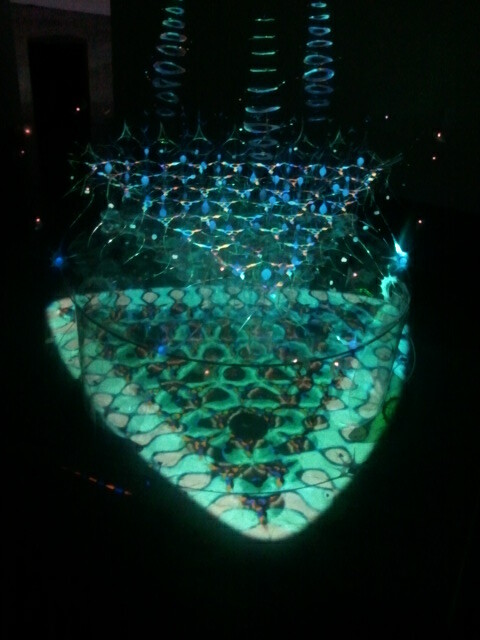 On the main level, an art exhibit by Bill Smith entitled Beyond the Humanities was our first stop. The docent was kind enough to turn off the lights for us so that we could experience the full effect of his spherodendron. 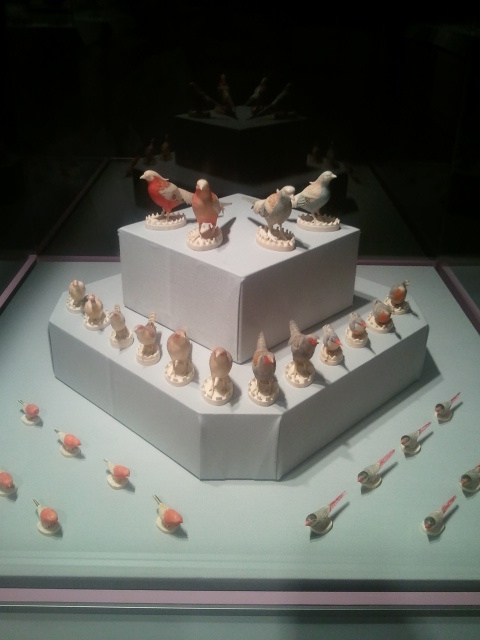 From there, we had two more floors in which to explore antique chess sets. Upon our return to the first floor with free posters of the art exhibit and chess museum in hand (or rather in MY hand), we perused the Q Boutique, voted Best Gift Shop 2012 by the Riverfront Times. 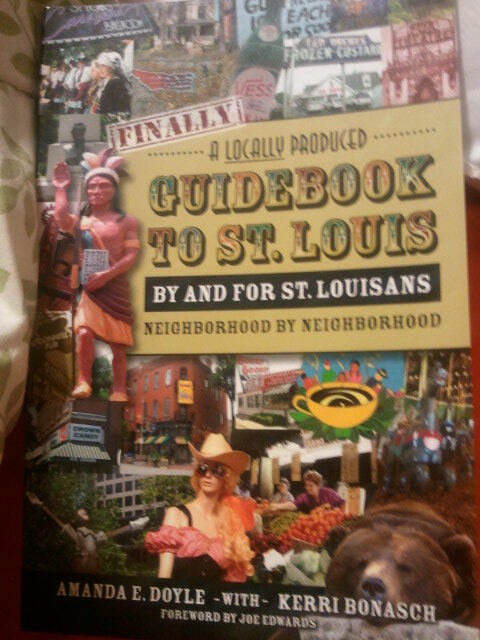 Here we found some goodies for Dad (okay, for me too) for Father’s Day including Amanda E. Doyle’s Finally, a Locally Produced Guidebook to St. Louis by and for St. Louisans Neighborhood by Neighborhood. Looking forward to reading through her book and planning a new adventure. . . Previous postTo Complain or Not to Complain: Does It Matter? Next postA Father Is . . .